يحظى فندق Redcliffe House Colonial Accommodation بمكان متميز في محور المدينة والاستمتاع بـ شواطئ, سياحة في هذه المنطقة الفاتنة. يمكن من هنا للضيوف الاستمتاع بسهولة الوصول إلى كل ما تقدمه هذه المدينة النابضة بالحياة. كما يمكن الوصول بسهولة إلى عدة معالم سياحية قريبة. يعمل Redcliffe House Colonial Accommodation على ضمان إقامة مريحة لضيوفه من خلال خدماته الممتازة وحسن ضيافته. يمكن الاستمتاع بمجموعة من الخدمات على أعلى المستويات في الفندق كمثل واي فاي مجاني في جميع الغرف, تخزين الأمتعة, واي فاي في المناطق العامة, صف السيارات, مكتبة. استمتع بوسائل الراحة الراقية في الغرف أثناء إقامتك هنا. بعض الغرف تتضمن تلفزيون بشاشة مسطحة, اتصال لاسلكي بشبكة الإنترنت (مجاني), غرف لغير المدخنين, تدفئة, ساعة منبه لمساعدتك على استعادة طاقتك بعد يوم طويل. سواء كنت من محبي الرياضة أو كنت تتطلع لتفريغ عناء نهار صعب، ستجد خدمات ذات مستوى عالي بانتظارك كمثل مسار جولف - ضمن 3 كم, حديقة. إن كنت تتطلع إلى إقامة مريحة وهادئة في المدينة، فستجد في Redcliffe House Colonial Accommodation بيتك الثاني. All pros - heritage home beautifully restored and decorated, sitting area for guests, good breakfast at a time of our choosing. Good quality amenities, everything one hopes for in a BnB. Very tasty decoration at every bedroom. I felt like at home. Gail and Nigel are very friendly and the room and facilities are perfect! I love that you get to meet other people staying there over breakfast. Highly recommended. Our stay with Nigel and Gail was very pleasant. Everything was taken care of and we felt really at home! Nice house, cosy rooms, very nice served breakfast, a little bit expensive rate. Very lovely house to stay. Thanks for providing us the home-made breakfast with different varieties. The host still allowed us to stay thought we brought two young kids with us. The room are nicely decorated, so we understand now why it is a bit difficult to accommodate young children. Very friendly proprietors went out of their way to make us feel at home in their period colonial accomodation. 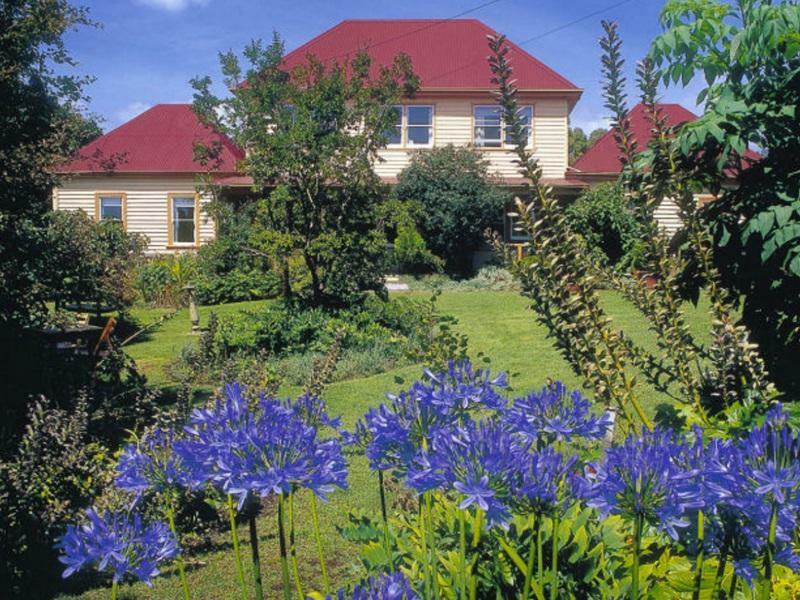 Beautiful location with well kept gardens, handy for exploring Freycinet, Swansea and the Freycinet wineries. We only stayed one night but could have stayed longer. Breakfast cooked to order. Highly recommend. We had a brief but very pleasant stay as part of our trip down the east coast of Tasmania and found it to be a peaceful and trouble-free interlude. A functional country side B&B is probably the best way to describe it. Friendly owners (Gail & Nigel) offering good quality breakfast... Connection to WiFi is an issue. Delicious breakfast, very quiet and comfortable bed. A good place to stay in East coast! We stayed here because we were travelling from Cradle Mountain to Freycinet then towards Hobart, and Swansea is located in the mid way, with a reasonable price cheaper than those hotels located in Freycinet. We arrived late at night and luckily still be able to locate the house with our GPS, dinner at a great pizza place just 1 min drive from the house. Swansea was pitch dark at night, the room was good and warm, after a long sleep, in the morning, then we came to notice how beautiful the house was! The house keeper Gail and her husband had kept many ducks, chickens, sheeps, flowers, dog etc... and we didnt want to leave in the morning, took many pictures! And the breakfast was delicious. Nice surprise! Perfect getaway stay for couples. Great setting, beautiful gardens and animals set on country acres. Home cooked fresh breakfast. Attentive hosts, we felt like family! Rooms so clean, nothing more you could ask for! PERFECT!! !